Ryland’s MyStyle® Design Center was built to give you all the options you will need to make your new Ryland home a true reflection of your style. Our design displays make it easy to see how all your choices will come together. And our expert team of experienced design professionals will help you choose materials, patterns and colors that you will love for years to come. We understand that choices about the design and style of your new home can still be difficult, and even overwhelming at times. That’s why Ryland Homes offers you the added benefit of our MyStyle® Design Center. The personalized attention you’ll receive from our design experts will help to bring all of your new home dreams to life, while keeping you within your budget. Our choices of fixtures, finishes, paints, cabinets, counters is more than enough to fit any lifestyle and offers you unprecedented customization options, something you won’t find from a previously owned home or an everything included program. Thanks to the MyStyle® Design Center, when you buy a new Ryland home, the choice of what it looks like inside and out is yours and no one else’s. A warm climate, lush golf courses, exotic casinos and world-class shows – that’s Las Vegas. Of course, this thriving metropolis in Nevada is also a wonderful place to find a new home, and not just because of the entertainment options. The city’s warm year-round climate and natural desert beauty provide plenty of incentive, as does its excellent school system. Even better, Nevada residents are not required to pay personal income tax, and business owners are exempt from most state taxes, contributing to the city’s thriving job market. Ryland Homes’ communities of new homes in Las Vegas offer an array of amenities, including gated entryways, picnic areas, great schools and parks. Working side-by-side with our experienced team of highly trained sales counselors, you will have no trouble selecting from our Las Vegas, NV, new homes. Feeling lucky about your new home search? Discover all that Ryland Homes has to offer in Las Vegas. Easy home buyingRyland’s streamlined homebuying process respects your valuable time. All of the services you will need are in one place: RMC Mortgage® and Ryland Title® keep all the financial details under one roof, while all design and style decisions are made at the MyStyle® Design Center. 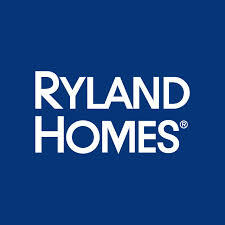 Your Ryland sales counselor and design consultant will be with you every step of the way to help manage the process, so you can stay focused on your everyday life. Plus, all the decisions you make for your new home are backed by the Ryland Homes Warranty Program, so you can have peace of mind that we will be here for you even after you move in.